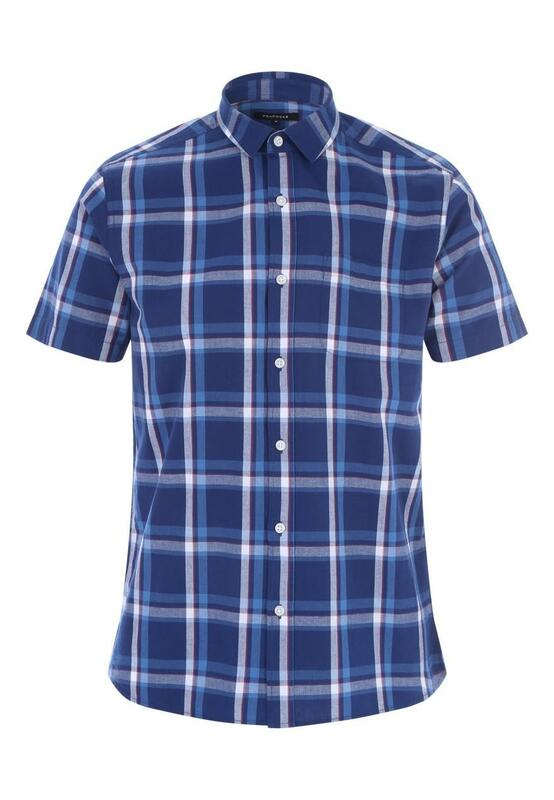 A check shirt never goes out of style. 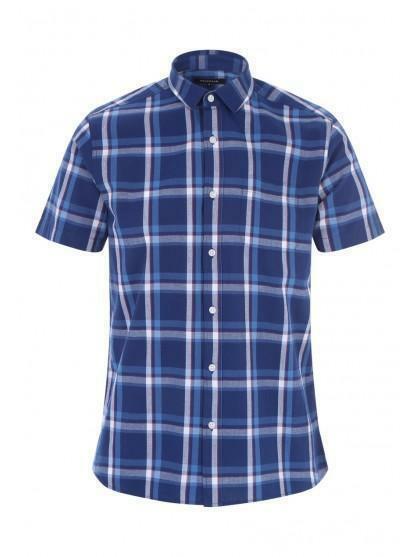 This dark blue shirt features short sleeves and a classic button up front. Wear open over a plain tee with chinos for the perfect casual look.